22 (FRI) 23 (SAT) 24 (SUN) July 2016 Naeba Ski Resort, Yuzawa-cho, Niigata Pref. Pyramid Garden is accessible with Fuji Rock's general admission wrist band! ATMs available at the external shop area! July 21st is the Festival pre-party! Free entry. MORE THAN MUSIC！There's more! Introducing another topic in which you can further enjoy Fuji Rock! 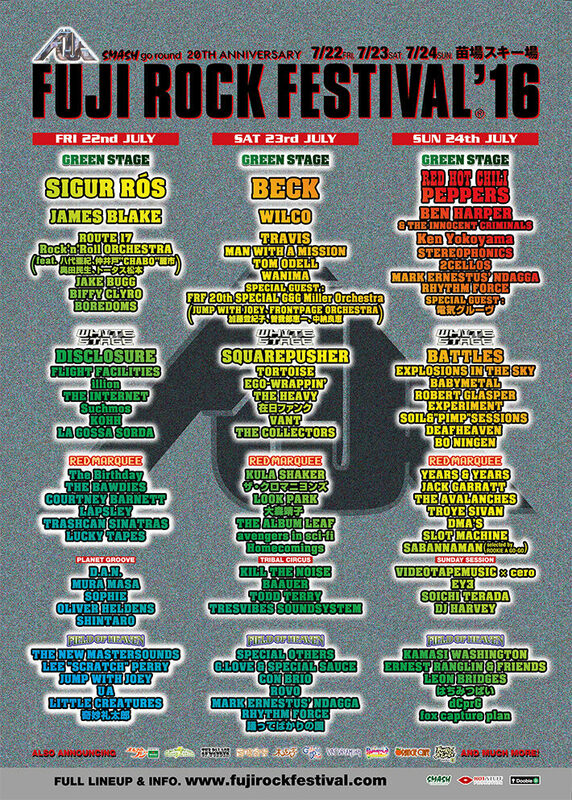 Timetable announced! Final lineup is confirmed! We are now only 3 weeks away from the festival! Copyright 1996-2016 Smash Corporation Ltd. All rights reserved. 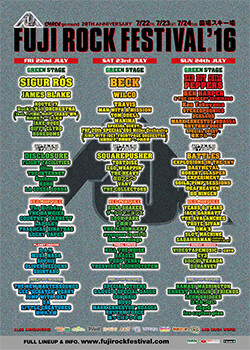 Fuji Rock Festival, the abbreviated common name Fuji Rock and logos are registered trademarks of the Smash Corporation Ltd.